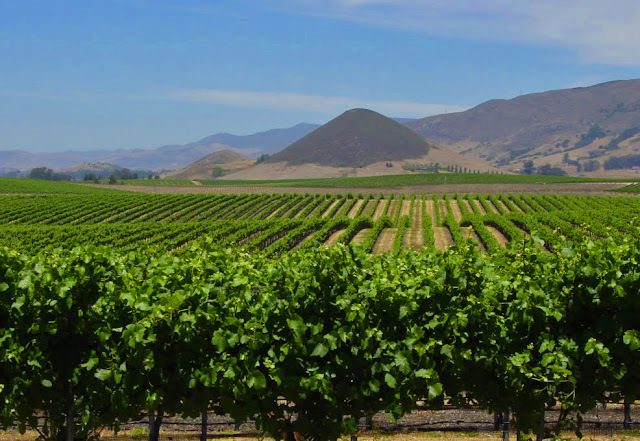 While driving to the Central Coast wine Regions of Paso Robles or Santa Barbara County, it is easy to drive right past two of the smaller AVA’s in California: Edna Valley and Arroyo Grande Valley. Both are part of the larger Central Coast AVA. Unusual for California, both Valleys have more west to east orientations versus the north to south, leaving them unprotected from the Pacific Ocean. The area’s wine history follows that of the rest of California. 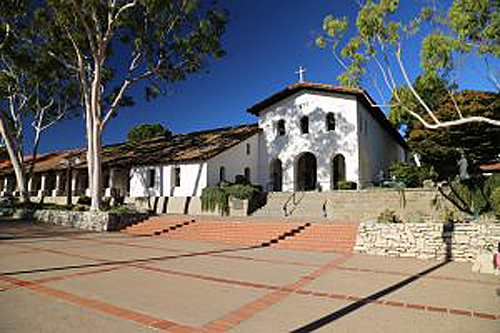 Father Junipero Serra established a mission in what is now San Luis Obispo, back in 1772. Mission grapes were planted around the mission for sacramental wine. At the time, the mission produced the most prized wines in Alta California. In 1845, the mission was sold to Captain John Wilson, and ceased its’ use as a church. By 1856, the official city of San Luis Obispo was incorporated, and by 1861 became a stagecoach route for those traveling between San Francisco and Los Angeles. About this same time, Pierre Hoppolyte Dallidet revived the original mission vineyard, and others soon began planting vineyards of their own. Just down the road, in what would become Edna Valley, dairyman Edgar Steele had purchased 58,000 acres for his dairy farm, and housing for his employees. In 1883 Lynford Maxwell subdivided the area, and called it Maxwellton. The local citizens later renamed it Edna. Even later, the entire valley became known as Edna Valley. Most of the grapes produced in the valley were shipped to San Francisco. The Edna Valley remained a rural farming area until 1973, when two families planted grape vines in the valley. Jack and Catherine Niven, as well as the Goss Family both started in that year. The Nivens planted the Paragon Vineyard with Chardonnay and Pinot Noir, creating the Edna ValleyWinery. Norman Goss also planted Chardonnay at the Chamisal vineyard. Chamisal was the first commercially produced wine in the valley. In 1975, Andy MacGregor planted his first vineyard and few years later planted the Orcutt Vineyard. The fourth winery was founded in 1978, by Corbett Canyon (anyone remember the old commercials with the echoing “canyon, canyon, canyon”?). Claiborne & Churchill was founded in 1983 by Claiborne Thompson and Fredericka Churchill. They focused on Riesling and Gewürztraminer. 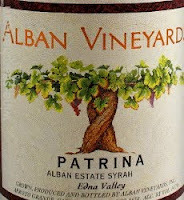 Winemaker John Alban began planting Rhone Varietals Grenache, Syrah, Roussanne and Viognier in the early nineties. Alban wines are highly sought after, and expensive. John is one of the founders of the “Rhone Rangers”, who promoted the use of Rhone grape varieties in the Central Coast. While the region is often thought of as Chardonnay and Pinot Noir country, you can clearly see that is not the case. Jack Niven was the one who first recognized the uniqueness of the Edna Valley, and began the process to have it recognized as an AVA. 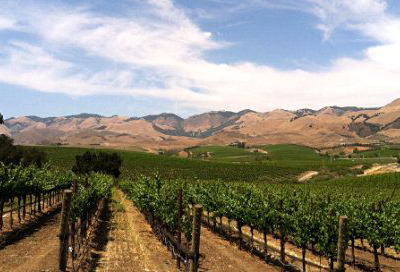 In June, 1987, the Edna Valley AVA was established, covering 28,858 acres of which approximately 2,923 is planted. The new AVA was distinguished by the close proximity to the Pacific Ocean. The hilly valley is oriented along a northwest to southeast alignment and runs about 10 miles. It is located on average, about 600 above sea level. This allows the cool Pacific breezes and morning fog to enter the valley from Morro Bay, through a gap in mountains known as Los Osos Valley. Edna valley is roughly bounded by Lake Lopez to the south, Islay Hill to the north, the Santa Lucia Mountains to the west, and Los Machos hills to the east. The volcanic range, known as the Nine Sisters, helped create the soil found in the valley. This volcanic range starts with Morro Rock in the northwest, and ends with Islay Hill in the southeast. Much of the valley was once part of the Pacific Ocean and ancient marine sediments have left a fertile base of calcareous shale and course sand. The soil is further enriched with dark humus, loam and clay. The Edna Valley appellation has one of California’s longest growing seasons. The extended growing season gives complex flavors to the grapes, with more balance in terms of sugars and acidity. The cool growing conditions result in traditionally very low yielding crops. The Edna Valley is small. There are only 23 “resident” (production facilities or estate vineyards) wineries in Edna Valley AVA, but the close proximity to Hwy 101 makes it a popular stop for wine lovers. 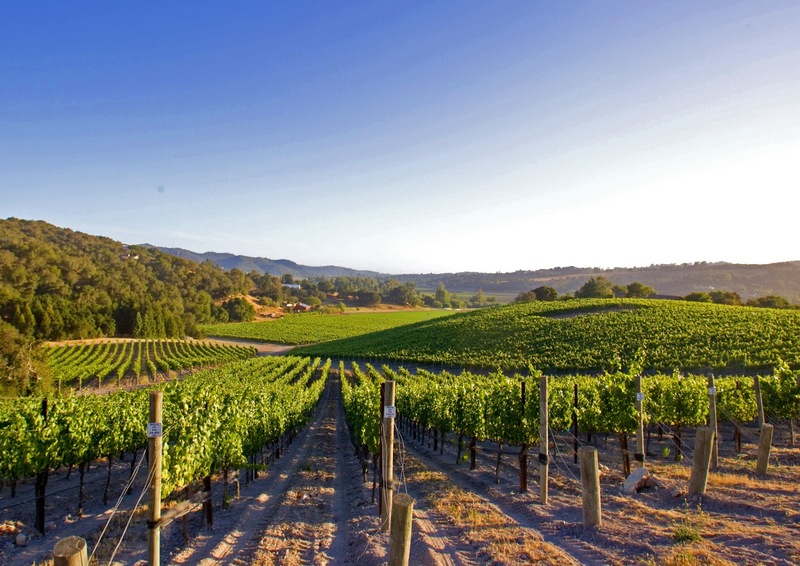 Edna Valley is also the AVA with the highest percentage of sustainably farmed vineyards, certified under the SIP (Sustainability in Practice) Certified™ program. 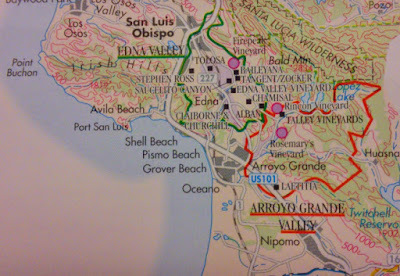 Edna Valley wines are often grouped with those of the contiguous Arroyo Grande Valley, but the Arroyo Grande Valley climate is more diverse than it neighbor to the north, and while the AVA covers more acreage, there is less planted with grape vines. Arroyo Grande translates to “wide riverbed” in Spanish. While its’ history is similar to that of Edna Valley, the first recorded vineyard development dates back to 1879, when Henry and Rosa Ditmas grew Zinfandel and Muscat grapes in the area. Zinfandel is still made from the ancient vines. In 1968, Jack Foote experimented with vineyards in Arroyo Grande. The region was thought to be too cold to produce quality grapes. However, his vines were successful, and soon others became interested in growing grapes area. Arroyo Grande Valley was granted AVA status in February, 1990. The AVA covers a little over 39,000 acres, but only about 1,230 is planted. The AVA is composed of a 16-mile-long winding valley that has a southwest to northeast orientation. Similar to Edna Valley, the soil is made up of sedimentary and volcanic soils over a bedrock layer known as “Franciscan Assemblage”. Also similar to Edna Valley, the western most side benefits from the cool ocean breezes and fog, but the Eastern side is beyond the normal fog line, and is therefore warmer. 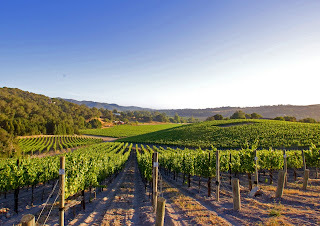 The west is where most of the Pinot Noir and Chardonnay are planted, while the warmer, more mountainous east is where the Rhone varieties and Zinfandel are found. There are fewer wineries in the Arroyo Grande Valley. Currently there are only eleven “resident” wineries located in the AVA. But, those eleven are very diverse, due to the many microclimates. They include Laetitia (previously Maison Duetz) in the southwest, which was the first sparkling wine producer in the area (1982). Laetitia is the largest producer in the AVA, followed by Talley Vineyards. 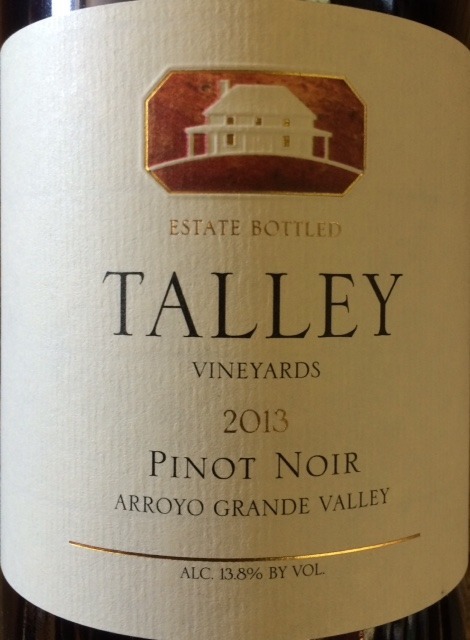 Talley Vineyards’ farming history began in 1948 when Oliver Talley started growing vegetables (peppers, cabbage, avocados and cilantro) in the Valley. In the early 80s, his son Don added grapevines. 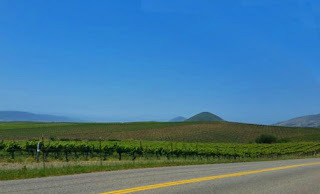 Talley Vineyards is located mid-valley, and is known for their Pinot Noir and Chardonnay. Above the fog line is Saucelito Canyon, which has revitalized the old growth Zinfandel vines from the Ditmas Vineyard. While there aren’t many wineries in Edna Valley and Arroyo Grande Valley, what you will find is cool region wines. The soil and climate create wines that aren’t found in other regions of California. For this reason, many wineries, which are not located in the area, purchase grapes from the region to produce wines. So next time you are driving the Central Coast, don’t miss these two smaller AVAs. You’ll be glad you stopped.